My two year old niece is kind of obsessed with babies. She is the youngest in her family at the moment so until that changes (if it changes), baby dolls are second best. She feeds her babies, nurses her babies and even loves to put her own diapers her babies. 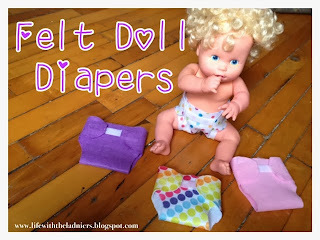 Part of her Christmas gift from us this year were these super inexpensive and easy felt doll diapers. First, I purchased 50 cent felt sheets at Hobby Lobby in coordinating colors. I already had fusible Velcro from a past project so I was ready to go! 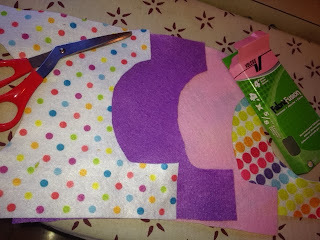 I used my rotary cutter/cutting mat to do the measuring, and straight edge cuts then cut out the legs with scissors. 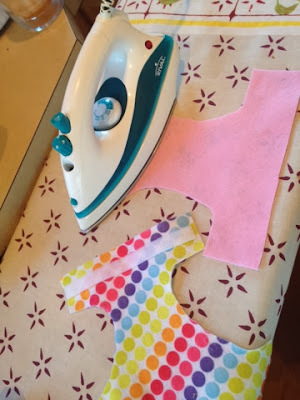 I would recommend folding them in half vertically and cutting the leg opening once for symmetry (like you would cut out a paper heart). 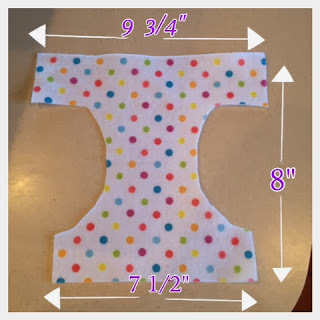 Here are the measurements I ended up with. This seriously took me all of 20 minutes I think... My niece's favorite doll is her Baby Alive. I just so happened to have mine from my childhood handy so she was my model and size reference. 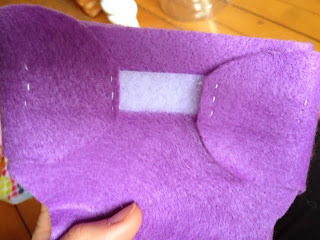 Next, I cut my Velcro strips and ironed them into place. Like with actual hook and loop cloth diapers, I put loop (soft) side of the Velcro across the front and used the hook (rough) side on the tabs. 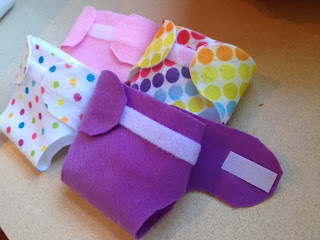 After testing them out I found that if you didn't pull the actual Velcro when you unfastened the diapers, the hook side would peel away from the felt and stay with the loops. Since my niece is only two, and because I wanted these to last her a while, I decided to do a little whip stitch on each end of the hook velcro on the tabs. Could use a matching thread but I thought the white was kind of cute. Gave it that hand made charm. There you have it! This project cost us $2 since I had the Velcro on hand but would probably still be under $10 if you had to purchase all of the supplies. Having the velcro strip run all the way across the front makes them customizable. 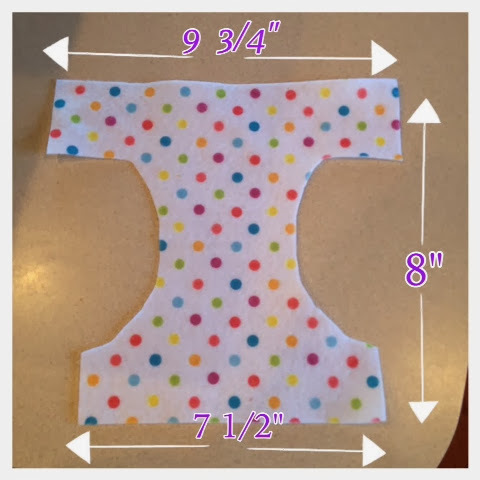 These will fit most standard size dolls. Can you believe the modern Baby Alive's have plastic hair?? I'd take these blonde curls any day! Haha. Is there a lucky little girl (or boy!) in your life who would love some felt fluff for their baby dolls bottoms? Be sure to come back and let me know how it goes if you give this a try! Flashback! Here's what we were up to one year ago today: "Shifting"
If you decide cloth isn't for you, you can just use the shell as a swim diaper. Also most AI2's are hybrids, which means you can use a disposable insert, which lots of folks find easier for travel. These will fit most standard size dolls. Thanks! 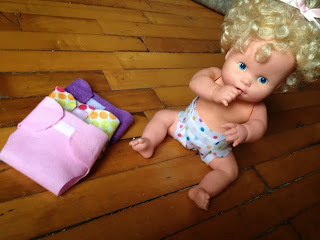 My daughter realized that her baby doll (that we've had for over a year) didn't have a diaper and was pretty distressed. One google search later, we found your little tutorial and it was perfect for what we needed!